I’ve become obsessed with a brand recently. Not because it’s got the most amazing products with the most ridiculous features, but because it’s got really good products at a price point that even most students wouldn’t turn their nose up at. That brand is UNIQLO, a Japanese company that was founded in 1949 but became a private clothing brand in 1998. It has been growing globally at a fast rate, with an increasing number of stores popping up around Europe – including London. What’s so appealing about UNIQLO for Discerning Cyclist? Well, the company’s mission focuses on “Kino-bi” which means “function and beauty, joined together” – it’s the ultimate DC mantra. The brand offers a vast range of products, most of which follow a simple timeless style. Again, this appeals to me hugely. And because their gear is so affordable, I’ve been on a UNIQLO binge. Jackets, trousers, jumpers, shirts and t-shirts have been ordered in abundance, so that I can find out which parts of their collection are best for stylish urban cyclists. 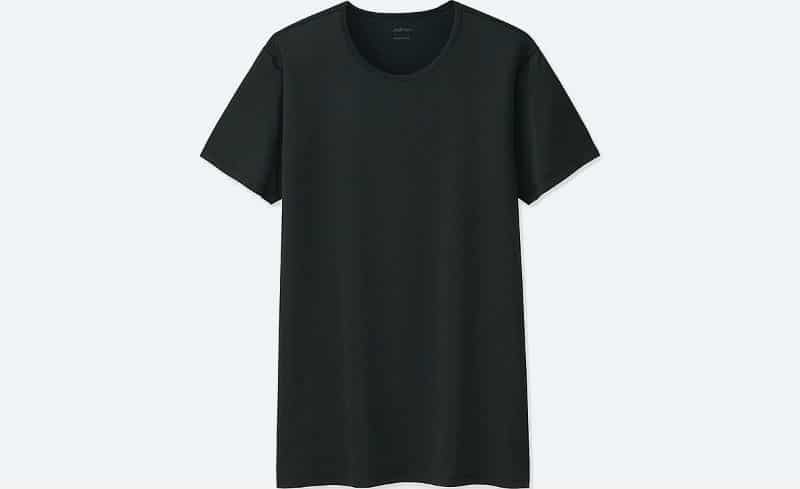 In this post, I’m going to compare three of the UNIQLO t-shirts I bought: the HEATTECH, Dry-EX and AIRism, to see which is best. None of these t-shirts cost more than £10 and are available in both men’s and women’s fits. HEATTECH is one of UNIQLO’s patented high-function fabrics that is designed with the primary goal of being lightweight while keeping you warm in cold weather. The t-shirt comes in a very slim, hugging fit, but offers tonnes of stretch. It’s mega light with relatively short sleeves that give some tricep exposure to ensure a flattering fit on the arms. The material is composed of 34% Rayon, 33% Polyester, 28% Acrylic and 5% Spandex – which certainly seems to be a winning formula for those leading active urban lifestyles. This HEATTECH t-shirt is perfect for cycling with its stretchy, lightweight style that offers lots of breathability. It is also quite long on the torso so that you can cover your rear from those behind you if your trousers aren’t doing a great job on that front. My only criticism of this t-shirt is that it’s available in just black and white. I opted for the white and – like most white t-shirts – it seems to be a magnet for spaghetti Bolognese. I’ve got my fingers crossed for more colours becoming available as this is the best cheap cycling t-shirt I’ve come across. The HEATTECH tee, like most UNIQLO t-shirts, is available in both a crew neck and v-neck style. This shirt is shiny. Too shiny. It’s comfy and offers a similar flattering slim fit to the HEATTECH but it’s SHINY. Unless you like shiny gear, this should only be used as a base layer – for which it is handy as it makes use of DRY technology, including fast-drying anti-microbial and self-deodorising features. It’s a real shame that this t-shirt glistens like a dentist’s grin, because it’s also really stretchy and provides basically every bit of functionality you could ask for in a cycle t-shirt. It’s just shiny. 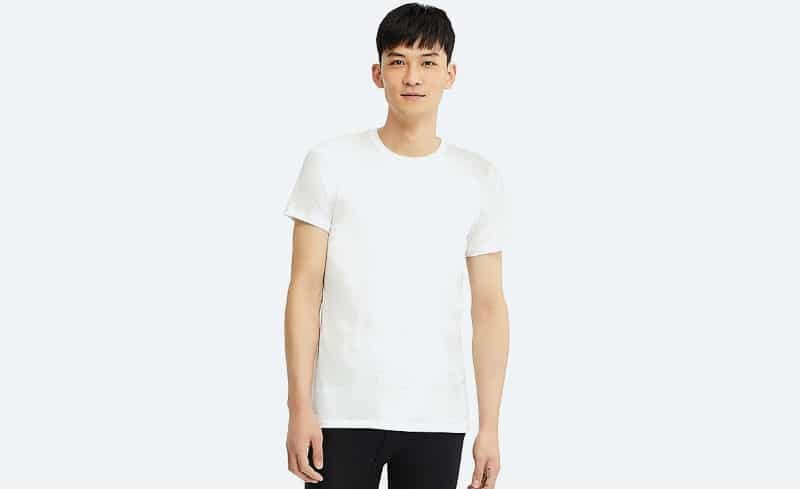 UNIQLO also has an excellent range of breathable, fast-drying t-shirts, including the Dry-EX and Dry tee ranges. The Dry-EX features subtle mesh ventilation down the sides and back of the torso to help your body breathe, while the t-shirt has been designed with sports in mind by offering an articulated fit which is great for moving around in. These t-shirts are made from 100% polyester and some of the range even includes reflective detailing on the back – so these are especially worth keeping an eye out for cyclists. If you’re not a fan of very slim fitting shirts like HEATTECH, this tee is noticeably looser and doesn’t show what you ate for dinner. Despite being designed for sport, this t-shirt still looks really good in casual settings and is an excellent piece of gear for warm weather. What is UNIQLO’s Best Cheap Cycling T-Shirt? Verdict: If you like a slim fitting t-shirt, the HEATTECH is right on point, providing plenty of stretch and great styling. 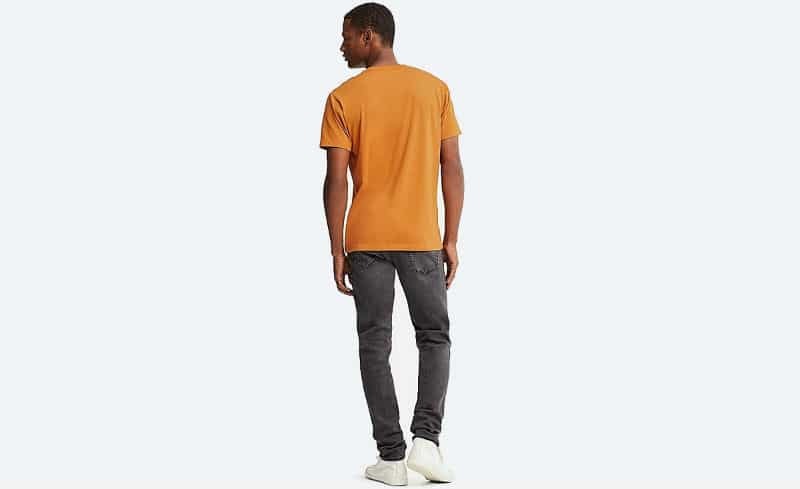 But if you prefer a looser fitting shirt with more breathable functionality (and more colour options) check out the UNIQLO Dry-EX (and Dry) t-shirts. Simply the best cheap t-shirts for cycling. COMMENT BELOW: Got a cheap t-shirt for cycling that you love? Comment with your suggestions below!